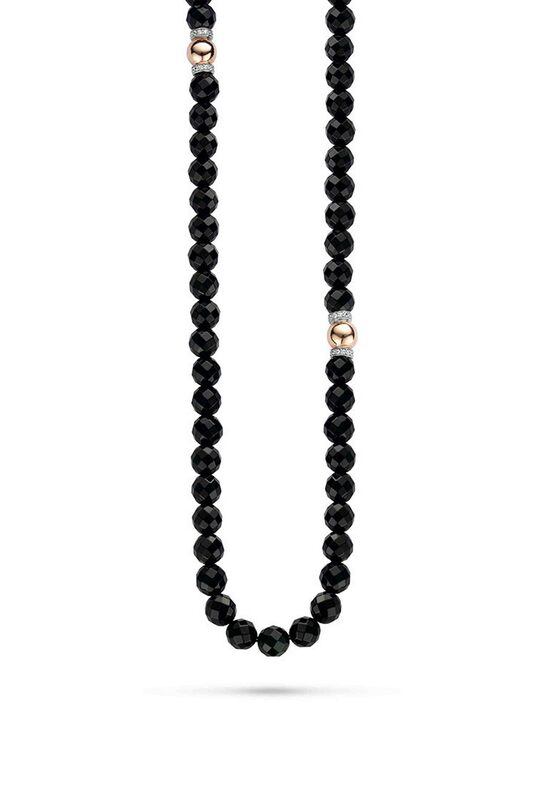 A long black crystal bead necklace from Ti Sento Milano range. This is a striking eye catching piece of jewellery featuring black crystal beads with two rose gold plated and crystal sections. You can wear this necklace with lots of different outfits.